Kids Earn Cash Review – read this before signing up! I often frequent Facebook groups devoted to sharing ideas about how to make money online. There’s a LOT of posts that typically I don’t look twice at. They are the usual cryptocurrency schemes, promotion of MLMs, and other things that really don’t interest me. I’ve been noticing one gaining momentum in the last couple of weeks, and I was intrigued!! As you now I always want to share great ways for my readers to make money online. You may have come across Kids Earn Cash and heard that you can make $500 per day with Kids Earn Cash. You may be wondering what it’s all about, and whether Kids Earn Cash is a scam or a legitimate way to make money online. I’m glad that you’re here doing your research – it’s important to get the facts before signing up to programs such as these. What is Kids Earn Cash? Is Kids Earn Cash legit? Kids Earn Cash works by connecting influencers (i.e. people like you and me) with top advertisers and brands, such as Target, Epic Games, Amazon, Apple, and more. They pay influencers to bring traffic to their site which will in turn builds exposure and awareness of these brands. Kids Earn Cash claim that advertisers pay them to pay influencers to bring traffic and awareness to their site and their products. Once you invite a friend and they become a member, they are exposed to the advertisers’ products in the members area. 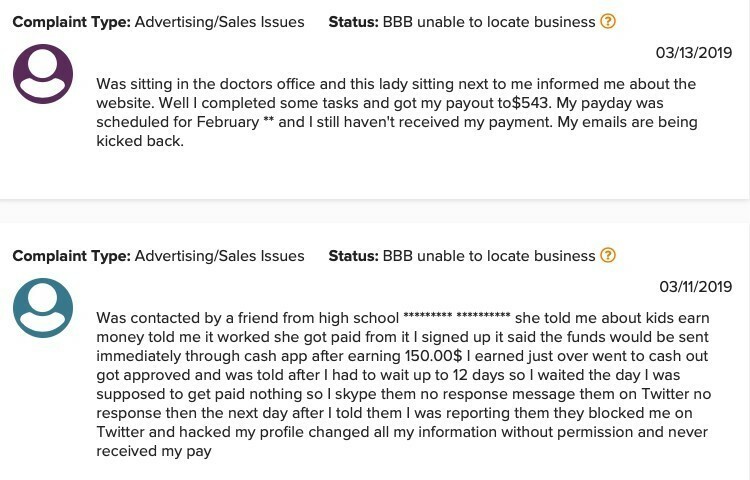 They claim that they used to pay $0.10 for every referral, and they now pay $10 for every referral due to their ad revenue and popularity increasing. On top of this, they say their members get paid by the site partners for trying new products and services in the members area. It all works on the basis of signing up and providing some of your personal information; sharing your influencer link as far and wide as possible to recruit others; then watching the money roll in! In theory this sounds OK and this follows many of the models in existence now. The website looks impressive and slick, and on the surface it all looks pretty good. A quick google search though showed me that all is not as it seems with Kids Earn Cash. The reason why these sites change their names is to prevent potential victims from finding reviews like mine, and from finding other negative commentary and reports of their site being a scam online. I will not get surprised if the name changes again soon. 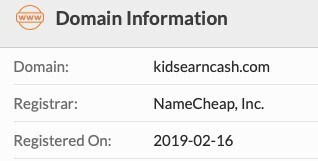 I looked up the domain information of the site using https://www.whois.com, and discovered that the site was only created mid-February 2019. That makes the site about a month old at the time of writing this review. 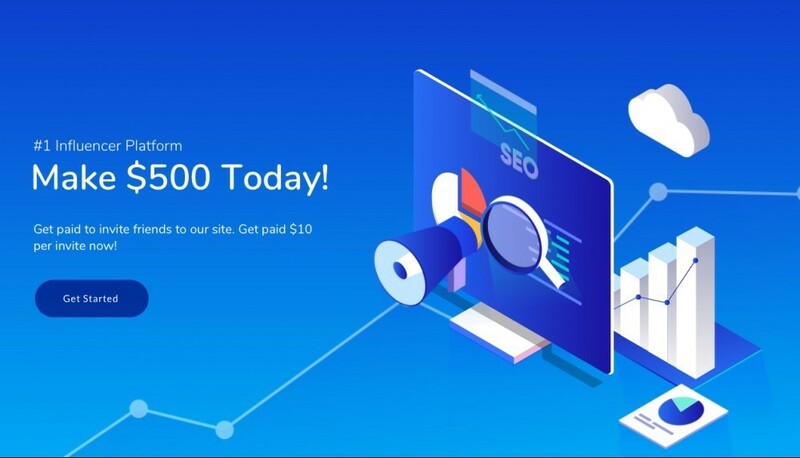 The homepage states that they have 75,000 members and have paid out $27.3m – for a site that is a month old there is just no way. So what’s the deal with this site? It’s free to join so what is the point? Well my guess is that they are taking your personal information and selling it on others. If you do sign up, you can expect to start seeing emails and offers from people you have not signed up with. Don’t waste your hard-earned money on shiny objects that over promise and under deliver. If they sound far too good to be true, they probably are. If you are looking for a substantial and long term way to make real money online, go for something that is reputable. My preferred platform allows people to sign up for free to have a look around and see if it’s for them. You even get two free websites, and the first ten modules of training for free. If you have any comments or questions, please ask and I'm always happy to help. If you've experienced Kids Earn Cash or any other similar site I'd be very keen to hear your thoughts if you'd be willing to share.